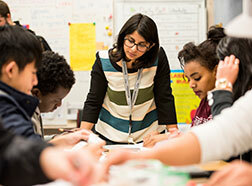 Call 206-543-7834 or request information about UW’s teacher preparation programs. 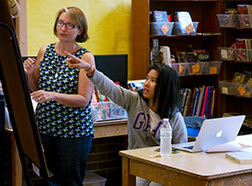 We prepare teachers to make learning come alive for all students. Each of our pathways to teaching includes extensive experience in poverty-impacted schools, mentoring from master teachers, and the latest research-informed teaching practices. Prepare to address adolescent-specific issues, support youth from poverty-impacted communities, and help students make the transition into young adulthood. Develop the expertise to improve the lives and outcomes of students with disabilities from birth through adulthood. UW offers numerous endorsements, administrative certificates, National Board certification, workshops and institutes for practicing teachers and leaders.